By Kristin Masters. Jun 10, 2018. 9:00 AM. "A novel is balanced between a few true impressions and the multitude of false ones that make up most of what we call life." So spoke Saul Bellow, one of the greatest American authors of the twentieth century. Rare book collectors have consistently been interested in Bellow's works, and that interest will only grow as his books get more scarce over time. Bellow entered the American literature scene in 1944 with Dangling Man. Though reviewers criticized the novel's lack of definitive plot, they also noted that the book wonderfully captured the character and challenges of the American intellectual during the Great Depression. Bellow published his second novel, The Victim, later that same year. These two novels are considered Bellow's "apprentice works." First editions tend to be more scarce not only because fewer copies were printed in the first place. Dangling Man's wartime printing meant cheaper materials that have not withstood the test of time very well. Bellow established his literary prowess with The Adventures of Augie March (1954), which later won the National Book Award. Bellow won the award twice more, with Herzog (1965) and with Mr. Sammler's Planet (1971). He went on to win the Pulitzer Prize for Humboldt's Gift (1976). These award-winning novels are easier for collectors to find. They fetch a premium if they're in exceptional condition or are inscribed by Bellow. Meanwhile Bellow also ventured into play writing. His The Last Analysis (1965) is considered an excellent addition to any Bellow collection, although it can be difficult to find. He also penned numerous short stories. By his death in 2005, Bellow had published 14 novels and novellas; four short-story collections; a memoir (To Jerusalem and Back, 1976); and an essay collection (It All Adds Up, 1994). Following Bellow's death in April, 2005, executors of his estate collaborated with Evelyn Stefannson Nef to establish the PEN/Saul Bellow Award. The award is granted to a "distinguished living American author of fiction whose body of work in English possesses the qualities of excellence, ambition, and scale of achievement over a sustained career which place him or her in the highest rank of American literature." In 2007, Bellow's colleague Philip Roth was named the first winner. In 2010, Bellow's friend and fellow author Benjamin Taylor published Saul Bellow: Letters. The anthology of Bellow's correspondence earned widespread acclaim for capturing Bellow's life so beautifully. The University of Illinois has an outstanding Bellow collection of over 900 volumes. Dr. Joe Walker Kraus curates the collection. Dr. Kraus' dedication to Bellow illustrates the devotion so common among Bellow enthusiasts and collectors. Interest in his work has grown over time, and his books promise to remain popular among rare book collectors in the future. 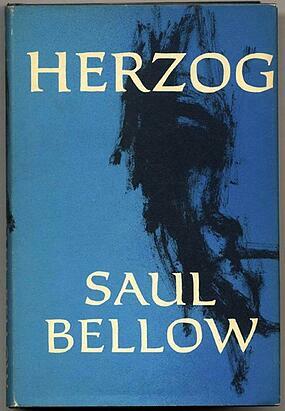 Saul Bellow's status as a Nobel laureate also places him in the illustrious company of other renowned authors like Gabriel Garcia Marquez and Doris Lessing. We offer one of the most extensive collections of rare books by Nobel Prize-winning authors. How do these legendary authors figure into your collection?